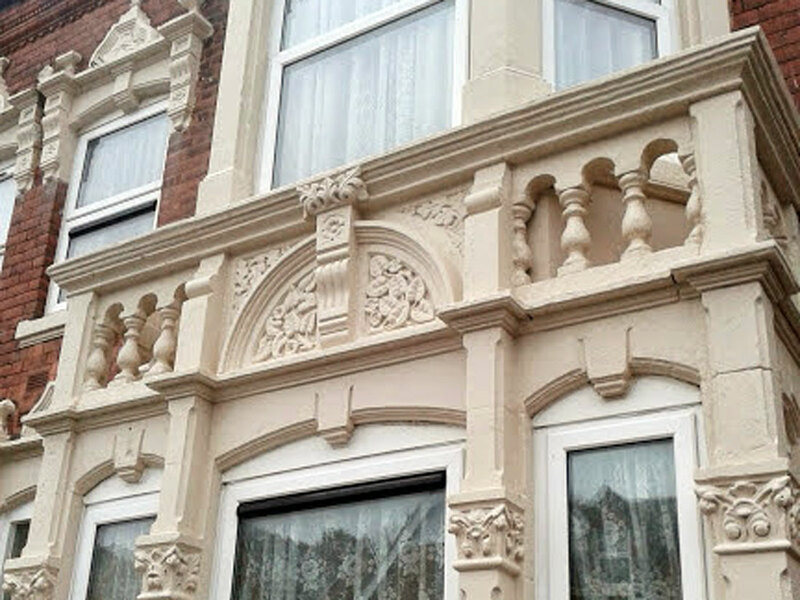 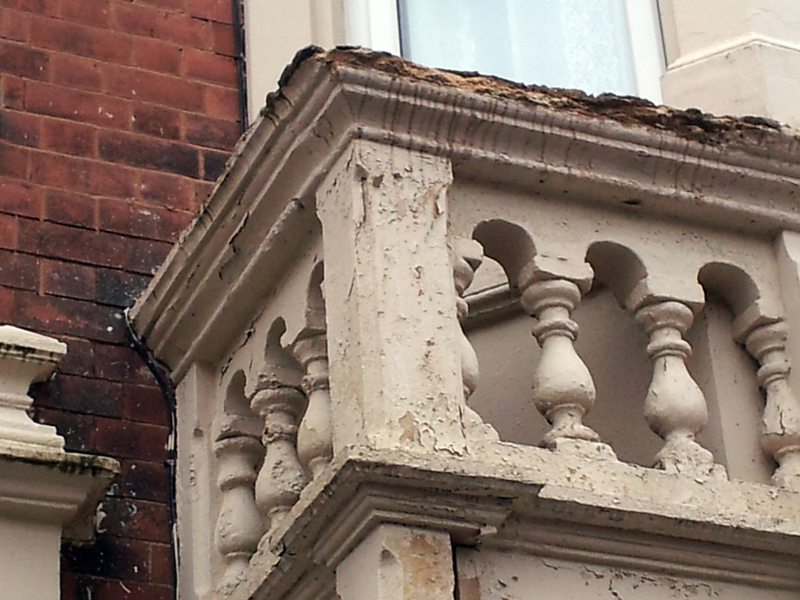 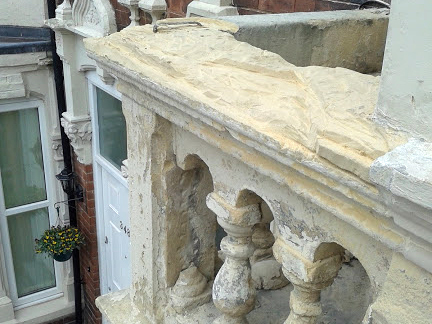 A three storey house requiring repairs to decorative stonework around the bay window. 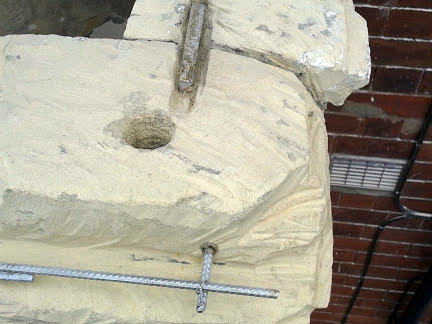 Bersche-Rolt site personnel cut away the damaged stone to expose a sound base, installing additional reinforcement where necessary. 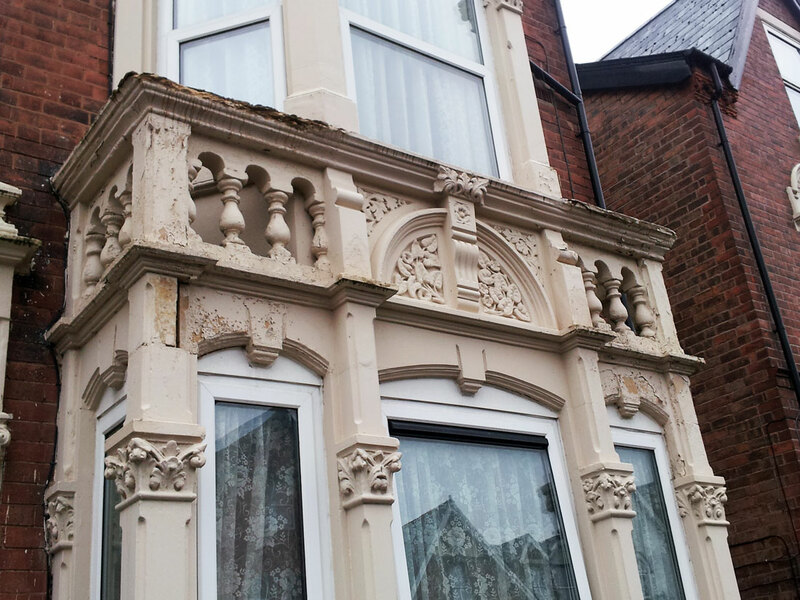 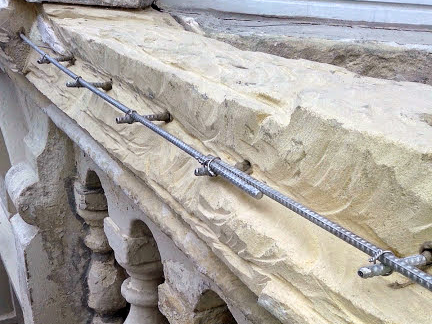 The repairs were completed using a restoration mortar, formed to match the original finish, before the application of anti-carbonation coatings.